Zika virus mosquito control is what Boxford MA 01921 and Topsfield MA 01983 are trying to achieve along with all of the North Shore . It is a battle that can be controlled but not completely eliminated. Control starts with good Intergrated Pest Management (IPM) at home. IPM starts at home with you practicing water management and remove standing water in your yard. Just three drops of water can equal 400 mosquitoes every 4 days. As you see this is something you can start doing today. 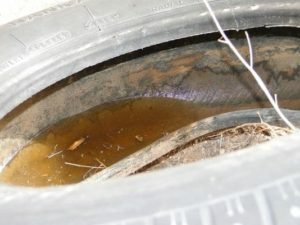 Look for standing water in loose fitting Tarps, flower pots, old tires, ditches or divets in your yard holding water, check your gutters and fix as needed. I’ve not visited a residence yet that did not have at least one or more of these problem areas. In order for mosquitoes to be borne they need water and warm weather. It’s not possible to change the daily temperatures from rising. However it is possible for you to get control of the standing water on your property. If you follow these easy steps weekly you can make a difference in your yard. Tip over Items such as kid toys & pools, tires, flower pots and wheel barrels weekly to remove standing water in them. Fill in or drain low areas of your yard that retain water. 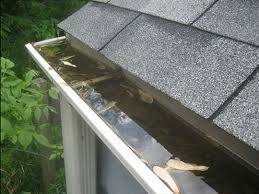 Fix gutters that do not drain and remove leaves that have collected in them. 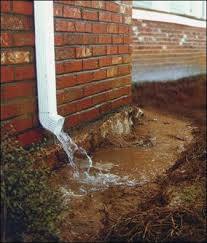 Review your down spout piping that removes water away from your home. If it is ribbed replace it with smooth interior wall pipes. These ribs will hold a lot of water and are responsible for millions of mosquitoes in your yard. 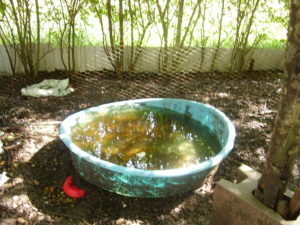 Remember a water free yard will give you a great start in removing mosquitoes from it. With your help and Mosquito Enemy we can work together to keep your yard mosquito free all year long.